Automotive Industry Executive, Expert, and Strategist. Managing Partner. Brooklyn Mitsubishi. Browse our inventory of hand selected high-end luxury cars. My name is Rudy T AKA EL Patronn. I am an automotive industry executive with over 15 years of retail experience. My passion is to improve the way automobiles are sold. In my career, I have been able to successfully turn around car dealerships by improving profitability and growing sales volume. The secret to my success is that I am always studying my industry and being a hands-on General Manager. Sign up for the most interesting and entertaining stories from the world of the automotive industry. 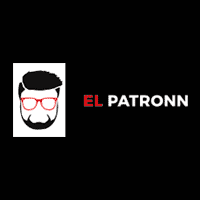 El Patronn Show	40.6522408, -73.9213435.